In the ballroom of a sparsely furnished Connecticut mansion, police find a shocking sight: four bodies lined up next to each other, three teenagers and a middle-aged woman, each lying on a blanket, each shot once in the head. In an upstairs bedroom: an elderly woman and the family dog, both of them shot as well. The only person missing is the husband, father, son, and prime suspect, John Hartman, who’s got a three-week jump on the police. Through the eyes of almost two dozen characters, including the neighbor who reports the crime, Hartman’s mistress, a dogged state investigator, the family minister, and some of the characters Hartman meets on his escape route, we piece together not only what happened and how these shocking murders affect the community, but how John Hartman evades capture, where he’s headed, and maybe even why he committed this gruesome crime in the first place. I am always fascinated by fictional recreations based on notorious real life murder cases, and this is the starting point for this exceptional novel by Charles Salzburg, that kept me hooked and emotionally involved throughout in equal measure. The novel is based on the real case of John List who in 1971 killed his wife, mother, and three children in their home in New Jersey and then disappeared, having planned the murders so meticulously that nearly a month passed before anyone noticed that anything was amiss. List then became a fugitive from the law, evading capture for nearly 18 years after assuming a false identity, eventually being brought to justice and sentenced to five consecutive terms of life imprisonment. Salzberg recreates these events using the skeleton details of the real crime itself, and stealthily constructing a timeline of the events following the murders, through the eyes of everyone witness to, involved in the life of and pursuers of, his fictional construct the killer, John Hartman. Chapter by chapter we bear witness to the testimonies, amongst others, of his neighbours, co-workers and his mistress along with those that seek to bring him to justice, in particular the dogged detective Charlie Floyd, and as Hartman’s flight progresses, those he encounters as a fugitive, and more emotively the thoughts and actions of Hartman himself. One of my biggest bugbears with novels is authors introducing characters far too quickly for the reader to get a handle on who’s who and who’s doing what to who. 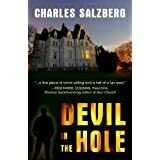 Remarkably, despite its slender form, Devil In The Hole actually contains no less than twenty-five characters, but thanks to the skill and control of Salzberg’s prose and characterisation, you never once lose sight of their place in the narrative and their connection to the main storyline. In every case, their presence, and the sometimes full, or in some cases, rudimentary details of their part in the plot are precisely delivered, little by little, all with a unique narrative voice, that separates them so distinctly in the reader’s mind. It’s a joy to read such an acutely well-constructed narrative, dwelling little on the physical description of character and location, but with Salzberg defining his characters so completely by their impression of, and personal interaction with a killer. Interestingly, we do not begin to hear the voice of Hartman until the third act of the book, and his, along with detective Floyd, are the key elements I feel in engaging the reader, and playing with our perceptions of and reaction to both. I found their narratives in particular exceptionally emotive, and how the travails of tracking a killer, and a life on the run impacts on both, and the ending was so unexpectedly poignant, I felt genuinely moved. If I was to compile a list of the crime books that have had the greatest influence on me, Acts of Violence by Ryan David Jahn would feature very highly on the list, where Jahn manipulates the details of a true crime case, through the eyes of a host of beautifully rendered characters. However, and without compunction, I would sit Salzberg’s Devil In The Hole comfortably alongside Jahn in my Hall of Fame for playing so subtly with my emotions, and demonstrating the power on the reader of a perfectly constructed multi-voiced narrative. A remarkable and affecting read and certainly not the last I shall read from this author. 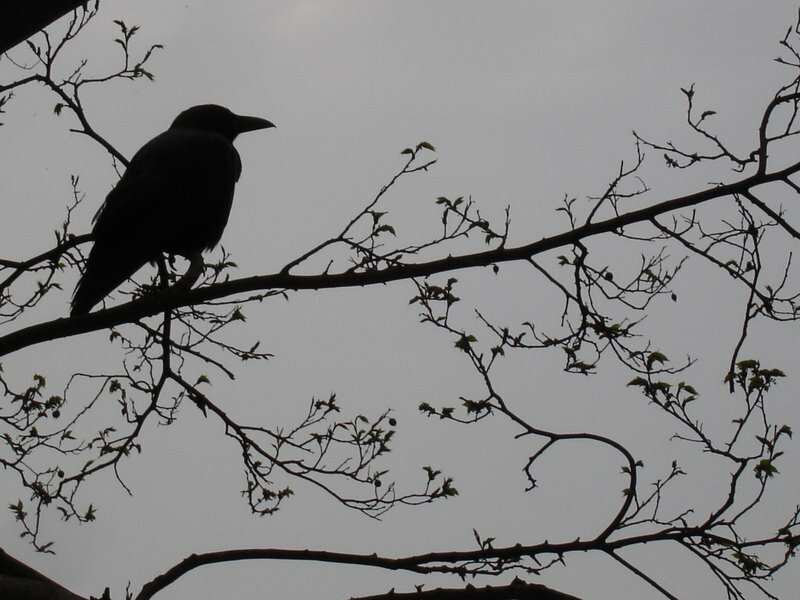 Goodness, Raven – this sounds like a remarkable read! I’m always a little afraid to get too close to true crime (there’s such a thin line between looking sensitively at a case and exploiting it for material gain), but this does sound very much worth a look. If the writer is truly outstanding, something very special can emerge (I think here of David Peace and his Yorkshire Noir series…). I think that was what impressed me the most, the fact that this was so sensitively handled and in no way gratuitous. Like you I would highlight Peace as a good British example of this genre, bridging the gap between fiction and truth. Definitely recommending Salzberg to you!